Let’s see … you could eat a Big Mac, of course. Or maybe a Grand Big Mac. Or even a Big Mac Jr.
Dude, it’s not THAT good. Though there is something cheekily naughty about those sesame seed buns. 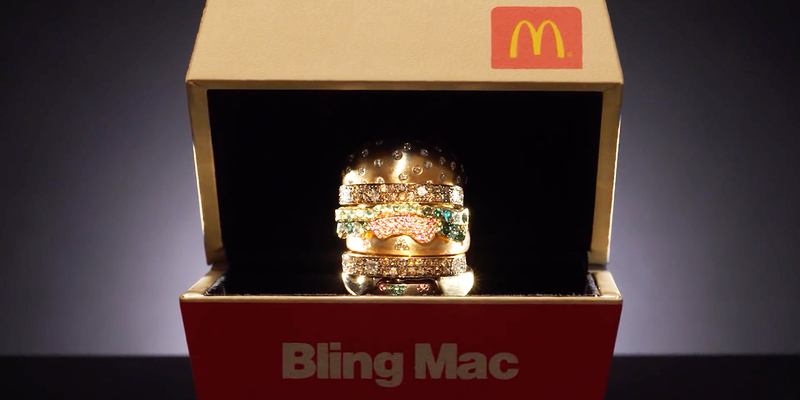 Only one burger buff will win the Bling-y thing-y, designed by Nadine Ghosn and valued at $12,500. 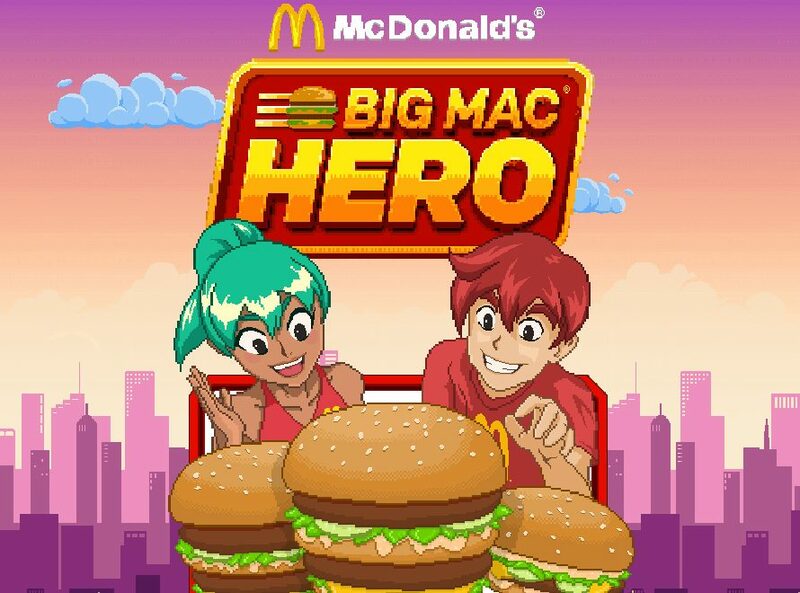 But everyone can be a “Big Mac Hero” by playing the fast-feeder’s throwback 8-bit video game. Odd, in real life, after putting away so many Big Macs, most people don’t feel much like leaping around. Big Mac Hero—it sounds like a menu item, right?—was developed with Reddit and Snapchat, and McDonald’s is using those platforms to promote and disseminate the game. In the case of the latter, a snap ad and snapcode on McD’s cups take users to the Hero experience. There’s even a Snapchat lens that turns users’ faces into pixelated characters from the game. Because marketing! We Are Unlimited worked on various aspects of campaign development, with Golin leading the Bling Mac effort. With the Big Mac turning 50, look for McDonald’s to heavily feature the burger in ads all year long. In addition to these U.S. game efforts, the chain rolled through six decades of Big Mac history in the U.K. and got all faux-artsy for the sandwich in Canada.